and for that I am truly truly grateful. What you have taught us and what you have left behind is much more powerful than any appearance, or interview we have seen. You have left behind HOPE, INSPIRATION AND PROOF that in spite of any obstacles you may have, you can make it, you can be successful and your story can and will change lives if only you believe in yourself enough to TRY. Dr. Angelou Born Marguerite Ann Johnson April 4, 1928 , and being raised between St. Louis and Segregated Stamps Arkansas was a renowned Poet, actress, Dancer, Professor, Civil Rights Advocate and public speaker. She worked very closely with Dr. Martin Luther King, Has worked along side Malcolm X, Muhammad Ali and so many other GREATS who are forever apart of our history. After being molested by her mother’s boyfriend at the age of 7 after she testified against him and he ended up killed she vowed to not speak again and grew silent for 6 years. In those years that is where she found her inner voice. After dropping out of school at age of 14 she went back to get her High school Diploma and at 17 years old gave birth to her Son while waiting tables. In 1950’s she toured Europe, performed on Broadway and recorded her first album. Although Dr. Angelou never went to college she has over 30 Honorary Doctorate degrees, taught herself over 6 foreign languages, and Became a college professor teaching american studies. She published seven autobiographies, three books of essays, and several books of poetry, and is credited with a list of plays, movies, and television shows spanning more than fifty years. 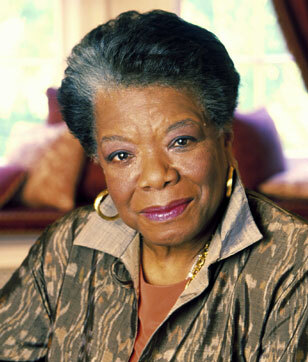 Her books center on themes such as racism, identity, family, and travel. During Maya’s trip to Ghana she worked very close with Malcolm X in 1965 while working on anti-apartheid to assist with building Organization of Afro-American Unity, shortly after Malcolm was Murdered. Dr. Angelou’s story and history even when criticized by people and often removed from libraries because of its content, always inspired. Its much needed dialogue is what has given all of us hope . 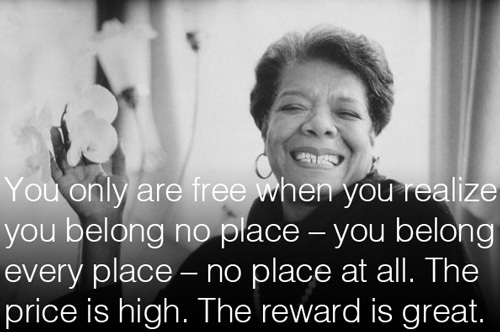 I love you Dr. Angelou and your legacy I will hold dear forever. ← When Passion, Skill & PowerHouse Vocal Ability Join What Do You Get? : The Incomparable Alice Smith!